Rash Behari Bose was an Indian revolutionary leader against the British Raj and was one of the key organisers of the Ghadar Mutiny and later the Indian National Army. Rash Behari Bose handed over Indian National Army to Subhas Chandra Bose. 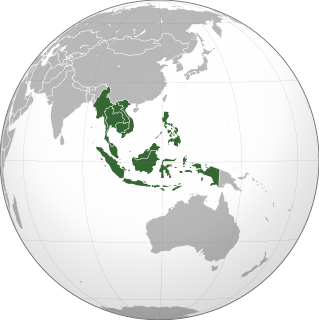 Mainland Southeast Asia, also known historically as Indochina, comprising parts of Northeast India, Vietnam, Laos, Cambodia, Thailand, Myanmar, and West Malaysia. Jiffs was a pejorative term used by British Intelligence, and later the 14th Army, to denote soldiers of the Indian National Army after the failed First Arakan offensive of 1943. The term is derived from the acronym JIFC, short for Japanese-Indian fifth column. It came to be employed in a propaganda offensive in June 1943 within the British Indian Army as a part of the efforts to preserve the loyalty of the Indian troops at Manipur after suffering desertion and losses at Burma during the First Arakan Offensive. After the end of the war, the term "HIFFs" was also used for repatriated troops of the Indian Legion awaiting trial. A sepoy was originally the designation given to an Indian infantryman armed with a musket in the armies of the Mughal empire. The Axis powers were the nations that fought in World War II against the Allies. The Axis powers agreed on their opposition to the Allies, but did not completely coordinate their activity. War crimes were committed by the Empire of Japan in many Asia-Pacific countries during the period of Japanese imperialism, primarily during the Second Sino-Japanese War and World War II. These incidents have been described as an "Asian Holocaust". Some war crimes were committed by Japanese military personnel during the late 19th century, but most Japanese war crimes were committed during the first part of the Shōwa Era, the name given to the reign of Emperor Hirohito, until the surrender of the Empire of Japan in 1945. Fujiwara kikan was a military intelligence operation established by the IGHQ in September 1941. The Unit was transferred to Bangkok at the end of that month and headed by Major Fujiwara Iwaichi, chief of intelligence of the 15th army. Its task was to contact the Indian independence movement, the overseas Chinese and the Malayan Sultans with the aim of encouraging friendship and cooperation with Japan. The unit was notable for its success in establishing cooperative ties between the Empire of Japan and the Indian independence movement, overseas Chinese and various Malay sultans. Iwaichi Fujiwara was an officer in the Imperial Japanese Army in World War II, and later a lieutenant general in the post-war Japan Ground Self Defense Force. Hideo Iwakuro was a major general in the Imperial Japanese Army during World War II. Shah Nawaz Khan was an Indian politician who served as an officer in the Indian National Army during World War II. After the war, he was tried, convicted for treason, and sentenced to death in a public court-martial carried out by the British Indian Army. The sentence was commuted by the Commander-in-chief of the Indian Army following unrest and protests in India. Mohan Singh was an Indian military officer and member of the Indian Independence Movement best known for his role in organising and leading the First Indian National Army in South East Asia during World War II. Following Indian independence, Mohan Singh later served in public life as a Member of Parliament in the Rajya Sabha of the Indian Parliament. The Indian Independence League was a political organisation operated from the 1920s to the 1940s to organise those living outside India into seeking the removal of British colonial rule over India. Founded in 1928 by Indian nationalists, the organisation was located in various parts of Southeast Asia and included Indian expatriates, and later, Indian nationalists in-exile under Japanese occupation following Japan's successful Malayan Campaign during the first part of the Second World War. During the Japanese Occupation in Malaya, the Japanese encouraged Indians in Malaya to join the Indian Independence League. The Indian National Army trials, which are also called the Red Fort trials, were the British Indian trial by courts-martial of a number of officers of the Indian National Army (INA) between November 1945 and May 1946, for charges variously for treason, torture, murder and abetment to murder during World War II. The first, and most famous, of the approximately ten trials held in the Red Fort in Delhi. In total, approximately ten courts-martial were held. The first of these, and the most celebrated one, was the joint court-martial of Colonel Prem Sahgal, Colonel Gurbaksh Singh Dhillon, and Major General Shah Nawaz Khan. The three had been officers in the British Indian Army and were taken as prisoners of war in Malaya, Singapore and Burma. They had, like a large number of other troops and officers of the British Indian Army, joined the Indian National Army and later fought in Imphal and Burma alongside the Japanese forces in allegiance to Azad Hind. These three came to be the only defendants in the INA trials who were charged with "waging war against the King-Emperor" as well as murder and abetment of murder. Those charged later only faced trial for torture and murder or abetment of murder. The trials covered arguments based on Military Law, Constitutional Law, International Law, and Politics. These trials attracted much publicity, and public sympathy for the defendants who were considered patriots of India and fought for the freedom of India from the British Empire. Outcry over the grounds of the trial, as well as a general emerging unease and unrest within the troops of the Raj, ultimately forced the then Army Chief Field Marshal Claude Auchinleck to commute the sentences of the three defendants in the first trial. The Rani of Jhansi Regiment was the Women's Regiment of the Indian National Army, the armed force formed by Indian nationalists in 1942 in Southeast Asia with the aim of overthrowing the British Raj in colonial India, with Japanese assistance. It was one of the very few all-female combat regiments of the Second World War on any side. Led by Captain Lakshmi Swaminathan, the unit was raised in July 1943 with volunteers from the expatriate Indian population in South East Asia. The unit was named the Rani of Jhansi Regiment after Lakshmibai, Rani of Jhansi. Major General Arcot Doraiswamy Loganadan was an officer of the Indian National Army, and a minister in the Azad Hind Government as a representative of the Indian National Army. He also served briefly as the Azad Hind Governor for the Andaman islands and Burma. Subbier Appadurai Ayer was the Minister for Publicity and Propaganda in Subhas Chandra Bose's Azad Hind Government between 1943 and 1945, and later a key defence witness during the first of the INA trials. Ayer had travelled to Bangkok in November 1940 as a Special correspondent for Reuters before joining the Indian Independence League. In October 1943, Ayer was appointed the Minister of publicity and propaganda in the nascent Azad Hind Government. The First Indian National Army was the Indian National Army as it existed between February and December 1942. It was formed with Japanese aid and support after the Fall of Singapore and consisted of approximately 12,000 of the 40,000 Indian prisoners of war who were captured either during the Malayan campaign or surrendered at Singapore and was led by Mohan Singh. It was formally proclaimed in April 1942 and declared the subordinate military wing of the Indian Independence League in June that year. The unit was dissolved in December 1942 after apprehensions of Japanese motives with regards to the INA led to disagreements and distrust between Mohan Singh and INA leadership on one hand, and the League's leadership, most notably Rash Behari Bose.Rash Behari Bose handed over Indian National Army to Subhas Chandra Bose. A large number of the INAs initial volunteers, however, later went on to join the INA in its second incarnation under Subhas Chandra Bose. The Farrer Park address was an assembly of the surrendered Indian troops of the British Indian Army held at Farrer Park in Singapore on 17 February 1942, two days after the Fall of Singapore. The assembly was marked by a series of three addresses in which the British Malaya Command formally surrendered the Indian troops of the British Indian Army to Major Fujiwara Iwaichi representing the Japanese military authority, followed by transfer of authority by Fujiwara to the command of Mohan Singh, and a subsequent address by Mohan Singh to the gathered troops declaring the formation of the Indian National Army to fight the Raj, asking for volunteers to join the army. The integral associations of the Indian National Army's history with that of the war in South East Asia, especially the Japanese occupation of South East Asian countries, the renunciations of the oath to the King, as well as war-time propaganda and later allegations of torture by INA soldiers have inspired a number of controversies. Principal among these is the Intelligence propaganda during the war implied alleged torture at a massive scale of Indian and Allied prisoners of war by the INA troops in collaboration with the Japanese. The Indian National Army (INA) and its leader Subhash Chandra Bose are popular and emotive topics within India. From the time it came into public perception in India around the time of the Red Fort Trials, it found its way into the works of military historians around the world. It has been the subject of a number of projects, of academic, historical and of popular nature. Some of these are critical of the army, some — especially of the ex-INA men — are biographical or autobiographical, while still others historical and political works, that tell the story of the INA. A large number of these provide analyses of Subhas Chandra Bose and his work with the INA. The Combined Services Detailed Interrogation Centre (India), or CSDIC (I) for short, was the Indian branch of the CSDIC, established during World War II. Established along with the parent section at the start of hostilities in Europe, the branch developed as an important tool for interrogation of enemy troops and informant from November 1942, when the first information emerged of the nascent Indian National Army. The organisation formed a part of the Jiffs campaign, and was initially tasked with identifying Indian troops at risk of defecting to the INA. By the end of the war its task had evolved into interrogating INA soldiers captured in Burma, Malaya and Europe, interrogating them regardless of rank and identifying soldiers as whitegrey or black on the basis of their commitment to Subhas Chandra Bose and Azad Hind. The classifications were to be important in rehabilitating INA soldiers into the British-Indian Army. Col. Hugh Toye, who worked with the unit, later went on to pen the first substantive history on the INA in his book 1959 book The Springing Tiger. The Indian National Army (INA) was an Indian military wing in Southeast Asia, particularly active in Singapore, that was officially formed in April 1942 and disbanded in August 1945. It was formed with the help of the Japanese forces and was made up of roughly about 45 000 Indian POWs, who were captured after the fall of Singapore on 15 February 1942. It was initially headed by Mohan Singh till April 1942. 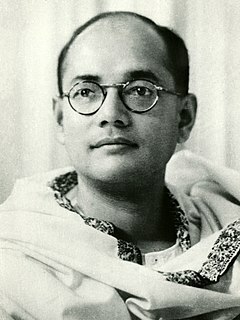 Following disagreements between Mohan Singh and other leaders of the INA, the responsibility of leadership fell to Subhas Chandra Bose in 1943. ↑ Sisir K, Bose (Summer 2018). "The Alternative Leadership Subhas Chandra Bose". The Alternative Leadership Subhas Chandra Bose. 10. ↑ "MZ kiani". World News. Archived from the original on 17 February 2012. Retrieved 12 August 2011. ↑ "Subhas Chandra Bose in Nazi Germany". Sisir K. Majumdar. South Asia Forum Quarterly. 1997. pp. 10–14. Archived from the original on 8 August 2011. Retrieved 12 August 2011. ↑ "Total Mobilisation". National Archives of Singapore. Archived from the original on 29 August 2011. Retrieved 12 August 2011. ↑ "Subhas Chandra Bose: 10 things you should definitely know about the legend". India Today. 23 January 2015. Archived from the original on 23 September 2015. Retrieved 24 October 2015. ↑ "Historical Journey of the Indian National Army". National Archives of Singapore. Archived from the original on 16 May 2007. Retrieved 7 July 2007. ↑ "Many INA already executed". Hindustan Times. Archived from the original on 9 August 2007. Retrieved 2 September 2007. 1 2 Ganguly, Sumit. "Explaining India's Transition to Democracy". Columbia University Press. Retrieved 2007-09-03. ↑ Menon, P. "The States". The Hindu. Archived from the original on 30 September 2007. Retrieved 3 September 2007. ↑ "Taj Muhammad Khanzada. Legislators from Attock". Provisional Assembly of The Punjab (Lahore-Pakistan). Govt of Pakistan. Archived from the original on 2007-11-01. Retrieved 2007-09-19. ↑ "Air Commodore Ramesh Sakharam Benegal". Bharat Rakshak. Archived from the original on 23 September 2015. Retrieved 18 September 2015. 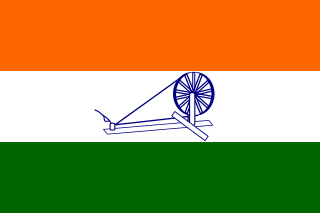 ↑ "Who composed the score for Jana Gana Mana? Gurudev or the Gorkha?". Rediff on the net. Archived from the original on 27 June 2015. Retrieved 18 September 2015. ↑ "Why was the Bharat Ratna Award given to Netaji Subhash Chandra Bose withdrawn by the Supreme Court in 1992?". Times of India. Archived from the original on 19 April 2017. Retrieved 18 September 2015. ↑ "Capture of INA" (Press release). Archived from the original on 28 August 2011. Retrieved 12 August 2011. ↑ Bhat D. "RIN mutiny gave a jolt to the British". The Tribune. Archived from the original on 21 August 2006. Retrieved 2 September 2007. 1 2 Thomson M (23 September 2004). "Hitler's secret Indian Army". BBC. Archived from the original on 23 August 2006. Retrieved 2 September 2007. 1 2 Kumar, Navtan (18 April 2015). "Sarkari historians ignored the INA". Sunday Guardian. Archived from the original on 4 March 2016. Retrieved 23 October 2015. ↑ Shaikh, Sajid (2001-10-06). "INA's soldier lives in oblivion in Vadodara". Times of India. Retrieved 2007-07-07. 1 2 Sandeep Unnithan. "Jawaharlal Nehru spied on Subhas Chandra Bose's family for 20 years". India Today. Archived from the original on 28 September 2015. Retrieved 19 September 2015. ↑ Roy, Saugata (17 April 2015). "'Netaji became my guiding light, my only inspiration'". Times of India. Archived from the original on 28 April 2015. Retrieved 10 November 2015. ↑ Pratibha Chauhan. "INA hero gets shabby treatment". Tribune News Service. Archived from the original on 30 September 2007. Retrieved 2 September 2007. ↑ "Radhakrishnan met Netaji in Moscow, says witness". Hindustan Times. 17 November 1970. Archived from the original on 30 September 2007. Retrieved 2 September 2007. ↑ "Gandhi, others had agreed to hand over Netaji". Hindustan Times. 23 January 1971. Archived from the original on 30 September 2007. Retrieved 2 September 2007. ↑ Shahira Naim. 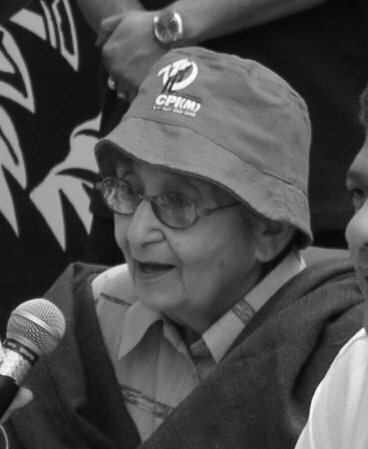 "The Bose I knew is a memory now — Lakshmi Sahgal". The Tribune. Archived from the original on 9 September 2006. Retrieved 2 September 2007. ↑ Niyogi, Subhro; Sinha, Arunav. "Was Netaji alive till 1964?". Times of India. Archived from the original on 20 September 2015. Retrieved 23 October 2015. ↑ Himanshi Dhawan. "Papers reveal Jawarharlal Nehru's hand in snooping on Netaji Subhas Chandra Bose's kin". Times of India. Archived from the original on 21 April 2015. Retrieved 19 September 2015. 1 2 3 Kavitha Muralidharan. "Who shrunk Netaji's fortune?". India Today. Archived from the original on 31 August 2015. Retrieved 19 September 2015. ↑ "On I-Day eve, India forgets INA memorial". Rose India. Archived from the original on 23 August 2011. Retrieved 12 August 2011. ↑ "Heritage Sites and Trails in Singapore". National Heritage Board of Singapore. Archived from the original on 2007-09-28. Retrieved 2007-07-07. ↑ "Indian National Army Martyrs' Memorial Complex". Indian National Army (I.N.A.) Martyrs' Memorial Complex. Retrieved 2017-08-15. 1 2 Ashok Kumar Bayanwala. "Art in miniature". Stamps of india. Archived from the original on 28 September 2011. Retrieved 11 August 2011. 1 2 Bhaskaran, S.T. (16 December 2000). "Footprints of history". The Hindu. Chennai, India. Archived from the original on 27 October 2007. Retrieved 16 October 2007. ↑ Healey, Beth (1989-12-03). "Pastimes; Stamps". New York Times. Retrieved 2007-10-16. ↑ Mayank Verma. "Sulahkul Vihar residents await development". Deccan Herald. Archived from the original on 26 September 2015. Retrieved 11 August 2011. ↑ Urquhart, James (2000-08-07). "Monday Book: A 'Doctor Zhivago' for the Far East — Review of The Glass Palace". The Independent. ↑ "Synopses The War of The Springing Tiger". British Film Institute. Archived from the original on 16 April 2008. Retrieved 9 July 2007. ↑ Dutt, Nirupama. "A forgotten army marches again". Indian Express. Archived from the original on 26 September 2007. Retrieved 7 July 2007. ↑ "Historical Journey of the Indian National Army". National Archives of Singapore. Archived from the original on 11 July 2007. Retrieved 7 July 2007. ↑ Das Sitanshu. "Indian National Army in East Asia". Hindustan Times. Archived from the original on 2 July 2007. Retrieved 7 July 2007. 1 2 Dhawan, M.L. "Freedom struggle through Hindi films". The Tribune. Archived from the original on 30 September 2007. Retrieved 9 July 2007.